Blenk Development Corp. Director Karin Eger-Blenk says a partnership with UBC and Okanagan College will help her company further improve their sustainable building practices. A local developer, a homebuilder, the University of British Columbia and Okanagan College are collaborating to see how sustainable building technologies can be used to reduce the energy used in new homes in the Interior. The Wilden Living Lab initiative will see two homes built in Kelowna’s Wilden subdivision on lots made available by the Blenk Development Corporation. One home will be built to current building code standards. The other will incorporate additional sustainable building technologies. Local builder AuthenTech Homes will identify the additional technologies and undertake construction in cooperation with Okanagan College’s Construction Management Program. Researchers from UBC Okanagan’s School of Engineering will then monitor and compare the energy use of both homes over the next three years and report their findings. The result — ­real-world data that shows prospective homebuilders and homebuyers what can be built in the Okanagan. Blenk Development Director Karin Eger-Blenk says her company has long had an interest in sustainability. 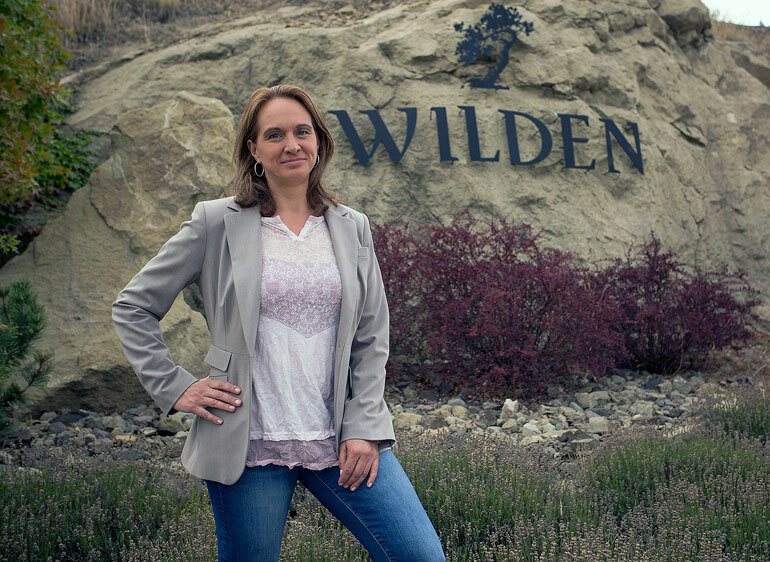 With geothermal heating and cooling already available in Wilden, her company is interested in seeing what else can be added into the mix. In addition to making two building lots available for the project, Eger-Blenk’s company is also providing support for the home planning and building as well as $62,850 to the Living Lab’s research fund. Working alongside the tradespeople at AuthenTech Homes is a great way to help educate the homebuilders of tomorrow, says Andrew Hay, vice-president of Education at Okanagan College. Students at the college have lent their skills to nearly 50 projects in the Okanagan since 2004. There are opportunities for more industry partners to participate in the project as the Living Lab will is looking for sustainable products, materials and services to incorporate in construction. Prospective partners can learn more by attending an industry open house being hosted by the Canadian Homebuilders Association on Thursday, September 10 at 132 Skycourt from 5:00 p.m. to 7:00 p.m.